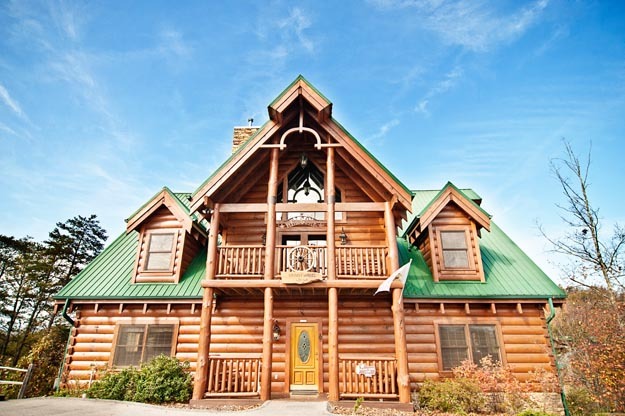 Smoky Mountains Lodging Guide: EAGLE'S RIDGE RESORT IN PIGEON FORGE IS READY FOR THE HOLIDAYS! EAGLE'S RIDGE RESORT IN PIGEON FORGE IS READY FOR THE HOLIDAYS! So where are you going to spend Christmas...New Year's Eve...or even Valentine's Day? 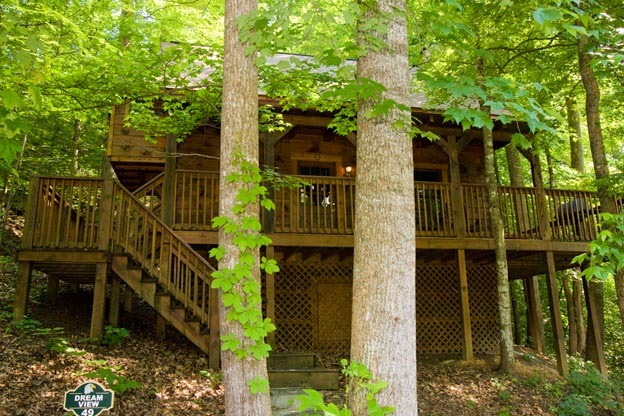 How about a cozy cabin at Eagle's Ridge Resort in Pigeon Forge, TN, in the heart of the Great Smoky Mountains and Pigeon Forge fun? 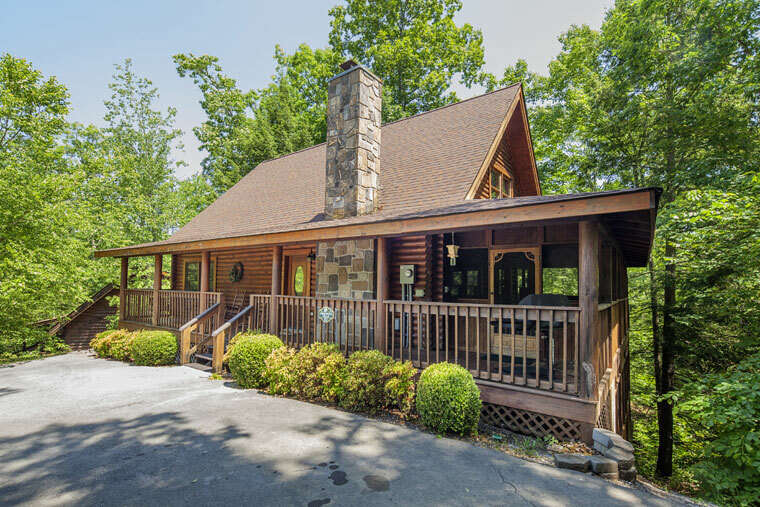 At Eagle's Ridge you get it all - great cabins that range in size from cozy, intimate hide-a-ways to large family and group cabins where you can get the entire group together to cook, eat, play games or just chill. Even though the cabins are in the woods they are conveniently located about a mile from the Parkway in Pigeon Forge which puts you close to restaurants, attractions, live theaters, Dollywood and some of the most unique and fun shopping in the Smokies! Eagle's Ridge cabins are loaded with amenities. You have fully equipped kitchens, game rooms, theater rooms, hot tubs, Wi-Fi, fireplaces, Jacuzzi tubs and rocking chairs on the porch. Every thing you need for a relaxing weekend get-a-way or a week-long family vacation. And they have pet friendly cabins so you can bring along the pooch. Eagle's Ridge makes a great home base for your family or group to explore the Great Smoky Mountains. The check-in staff can help you with information about hiking and exploring the Smokies and with tickets to area attractions. They also offer a Smokies fun Pass with FREE tickets to Ripley's Aquarium, Wonder Works, Country Tonite Theater, Laserport Fun Center, Old McDonald's Farm Mini-Golf, the Smoky Mountain Opry, Hatfield & McCoy Dinner Feud and the Comedy Barn Theater! Check their website for details and for any specials. And if you are looking for specials, or deals in the Smokies, download the BRG App. There you will find Coupons, Deals, Points of Interest, Visitor Information and more, all designed to make your experience in the Smokies and easier and more fulfilling trip while saving you money. For more detailed information on the Smokies to http://www.bestreadguidesmokymountains.com/. You can watch videos on attractions in the area, read blogs about tourist-oriented businesses and find great deals on accommodations, restaurants, shopping, attractions and more.